Under the Ford line’s old business model, each of the three model brands in the family represented a different market segment. Ford produced vehicle types for consumer-grade, baseline customers, Lincoln was reserved for the high-end luxury segment, and mid-grade performance and innovation was reserved for the Mercury branding. Though Mercury has since become a relic of model brands past, its legacy still lives on today. These vehicles are well-regarded for their longevity and functionality in any situation, which is why you’ll still see so many on dealership lots and the road still today. 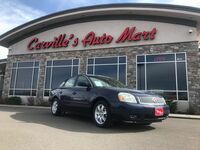 In fact, our Carville’s Auto Mart inventory features a healthy selection of used Mercury models in Grand Junction CO, and we invite you to come check them out! The Mercury Monterey line was long a favorite in the minivan market, with its models able to provide plenty of punch under the hood, a comfortable and roomy interior, and entertainment options that were sure to give a great return on investment to anyone who stepped behind the wheel. 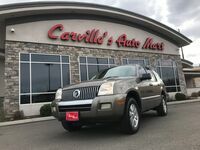 Nowadays, the Monterey is a perfect option for all those looking for an affordable and reliable way around town! Mercury’s answer to the Ford Taurus, then the best-selling sedan in America, was the Sable, an efficient, fun and affordable vehicle even when it was new. Now, you’ll still get the same great performance, interior innovation, and peace of mind, but for a price that can fit into any budget – this makes it a fantastic choice for drivers just starting out, as well as those looking to get from point A to B with some flair! All in all, there’s no debate that the Mercury family still holds up to market standards in today’s automotive landscape. If you’d like to schedule a test drive of one of these high-performing vehicles, be sure to contact Carville’s Auto Mart – we'd be more than happy to show you everything that makes these models so great for consumers of all ages.